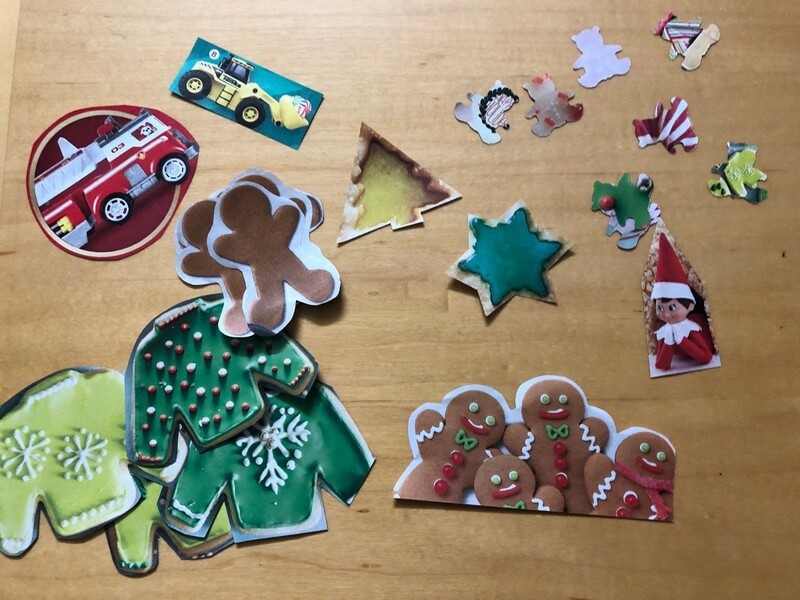 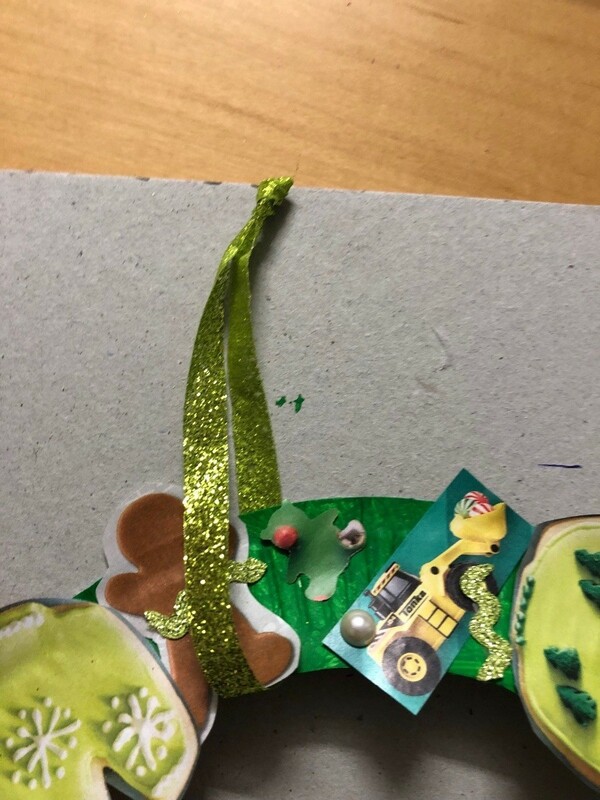 This is a fun, kid and budget friendly project that both you and your child can work on together. 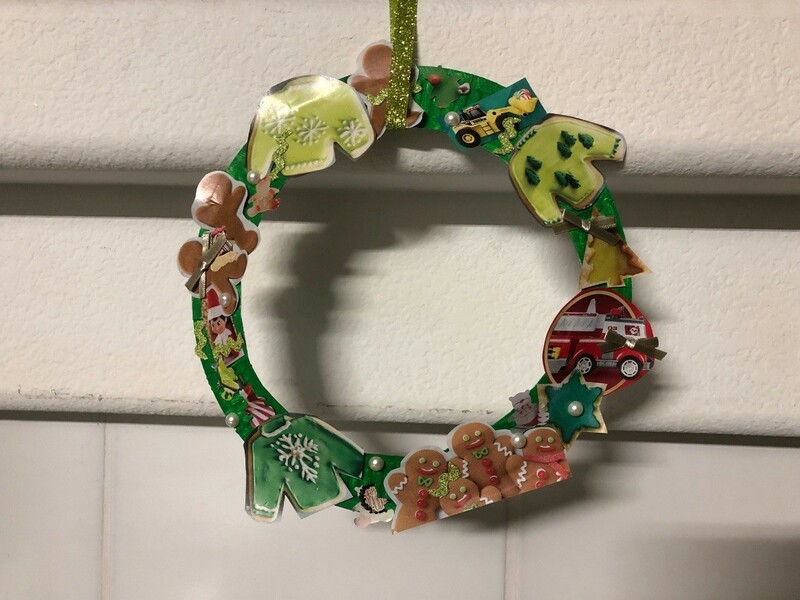 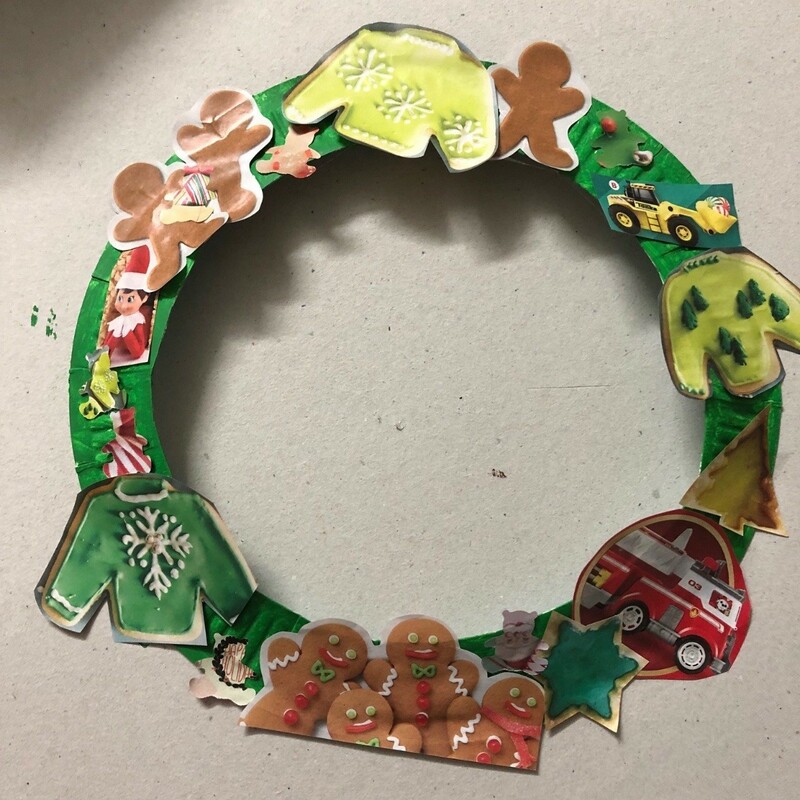 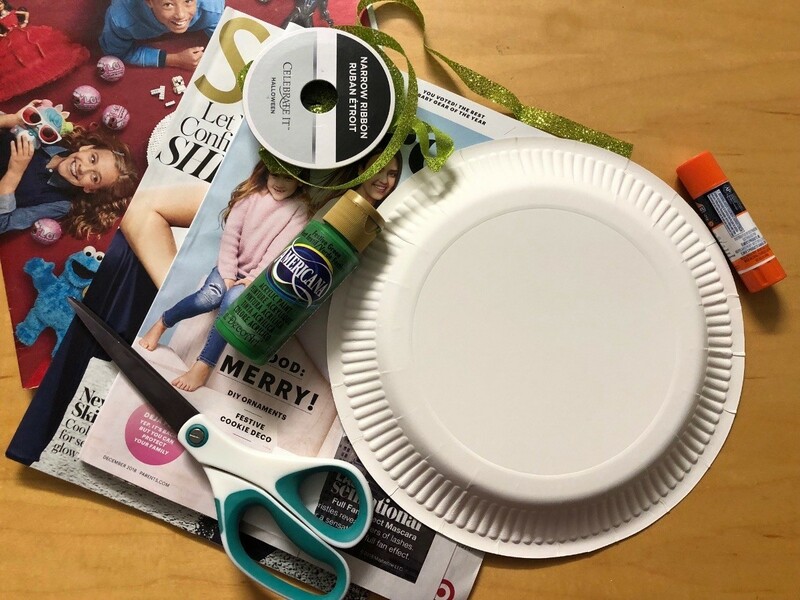 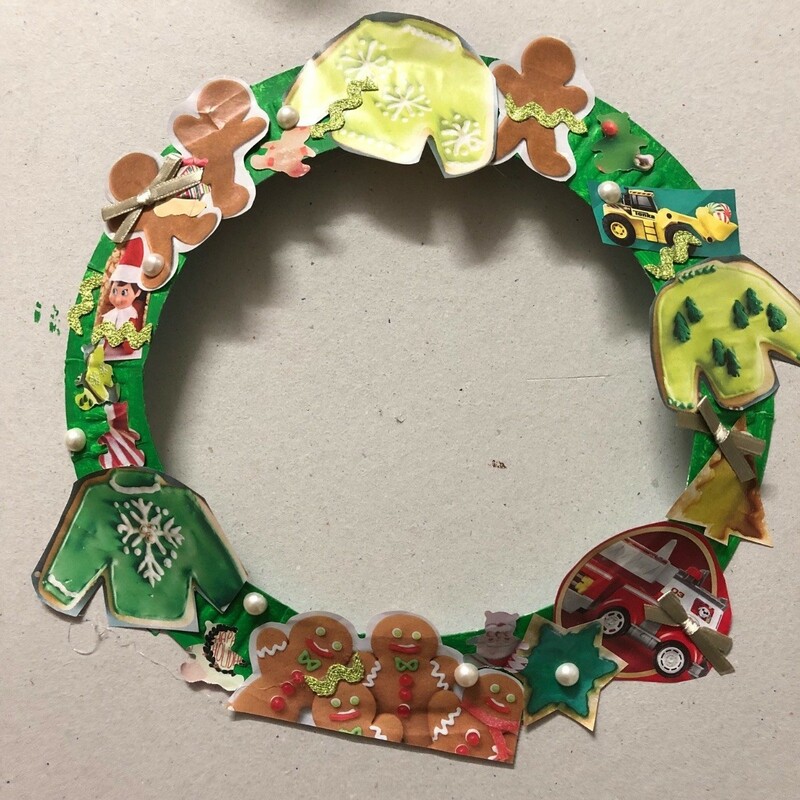 This wreath is made with household items you already have and any December catalogs like magazines or toy catalogs, holiday stickers, or you can even draw or make your own with colored paper, foam paper, print outs, color, paint on, stamps, etc. 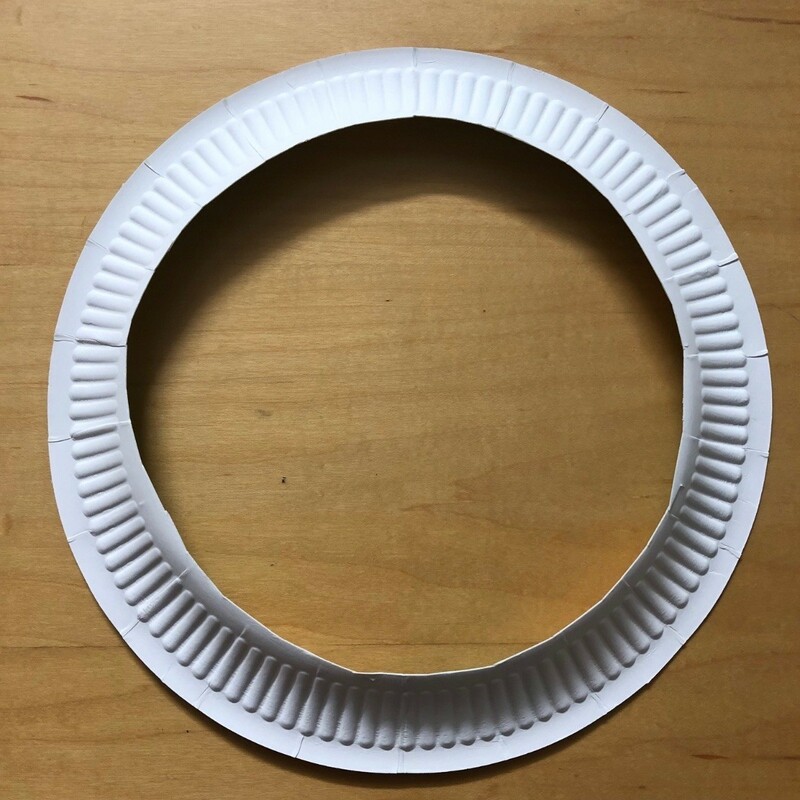 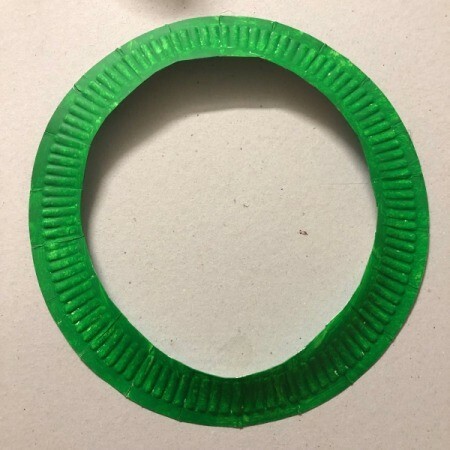 Cut the center of a paper plate out. 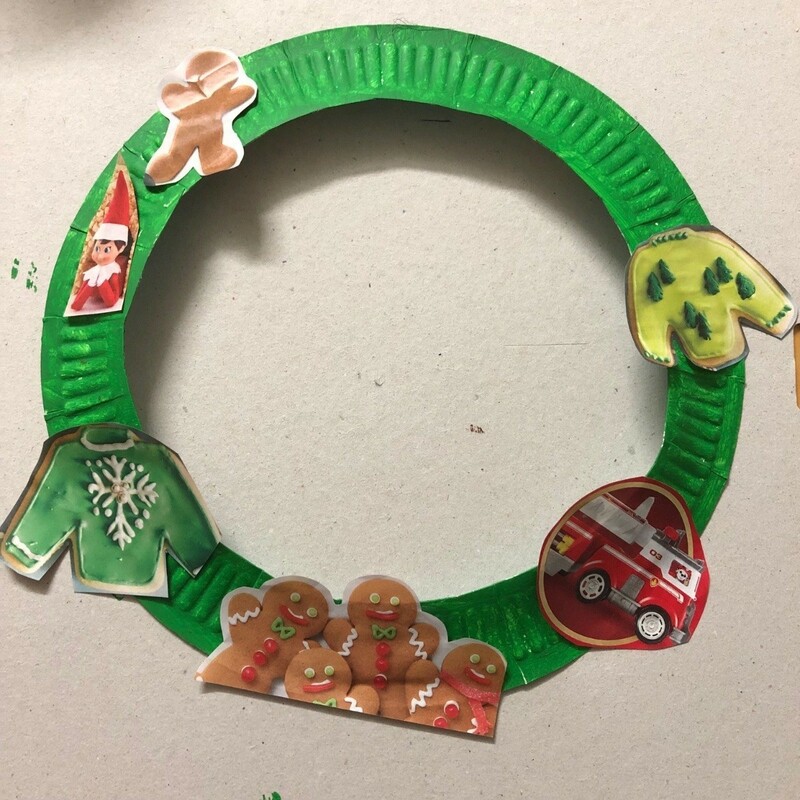 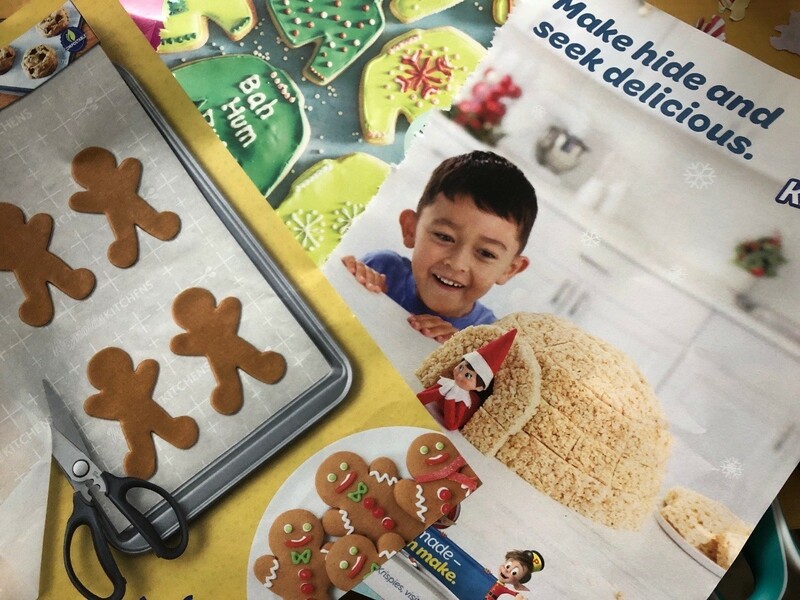 Flip through magazines and clip out the photos of toys your child would potentially want on their wreath. 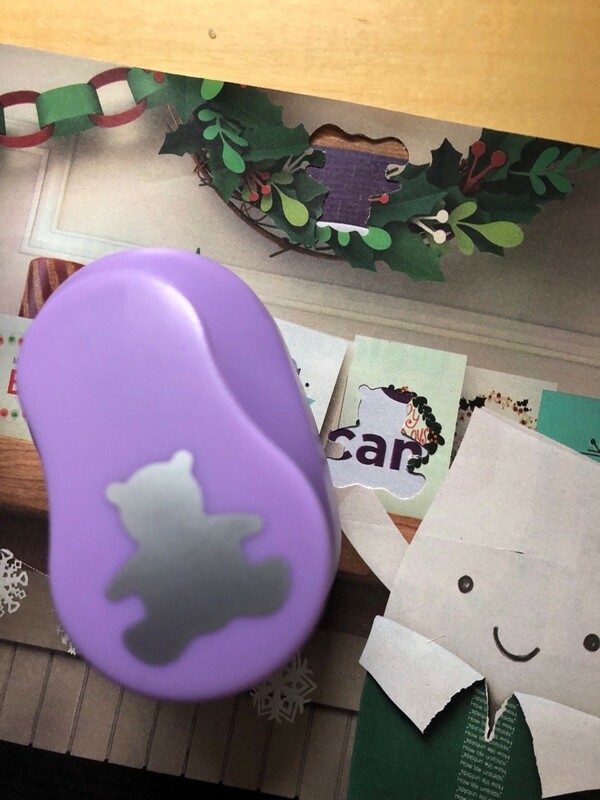 Meanwhile your child can punch out some bears with the paper punch. 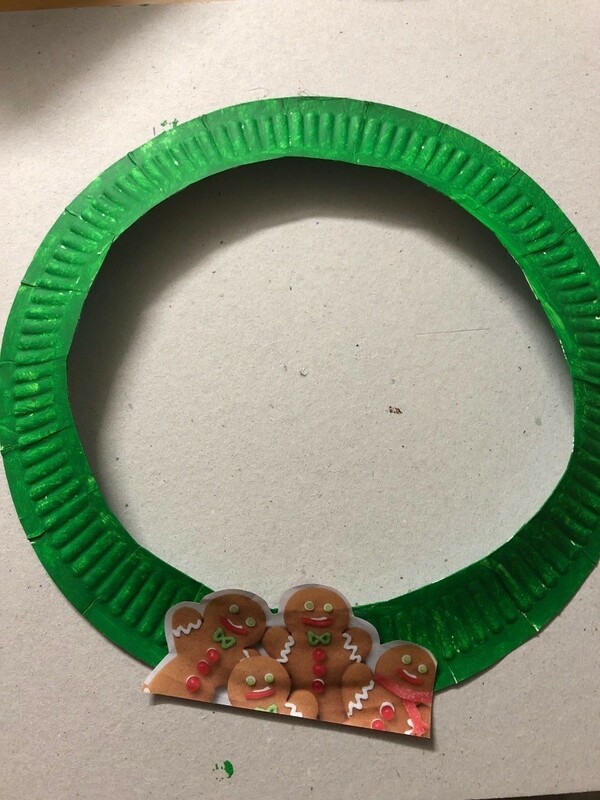 Using a glue stick, have your child stick all the pieces on the wreath. Add any fun touches like glitter, stickers, washi tape, etc. 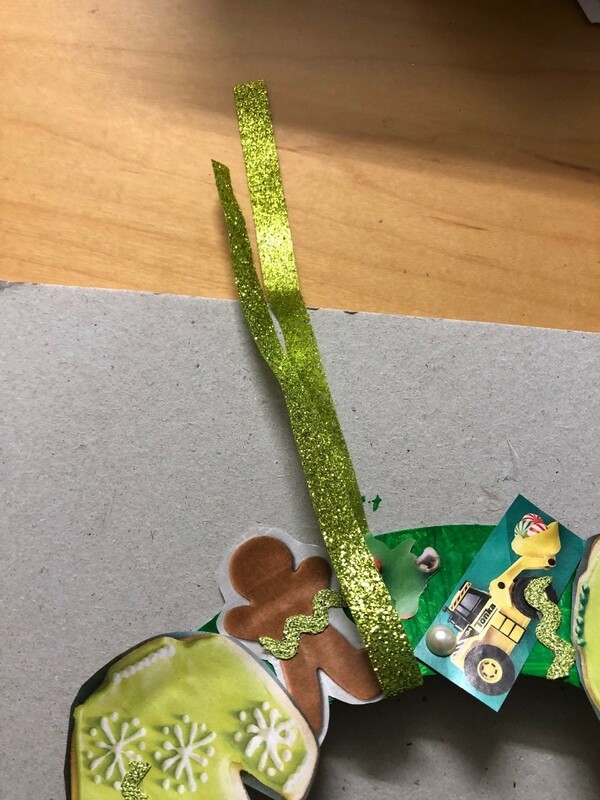 Attach a knotted length of ribbon. 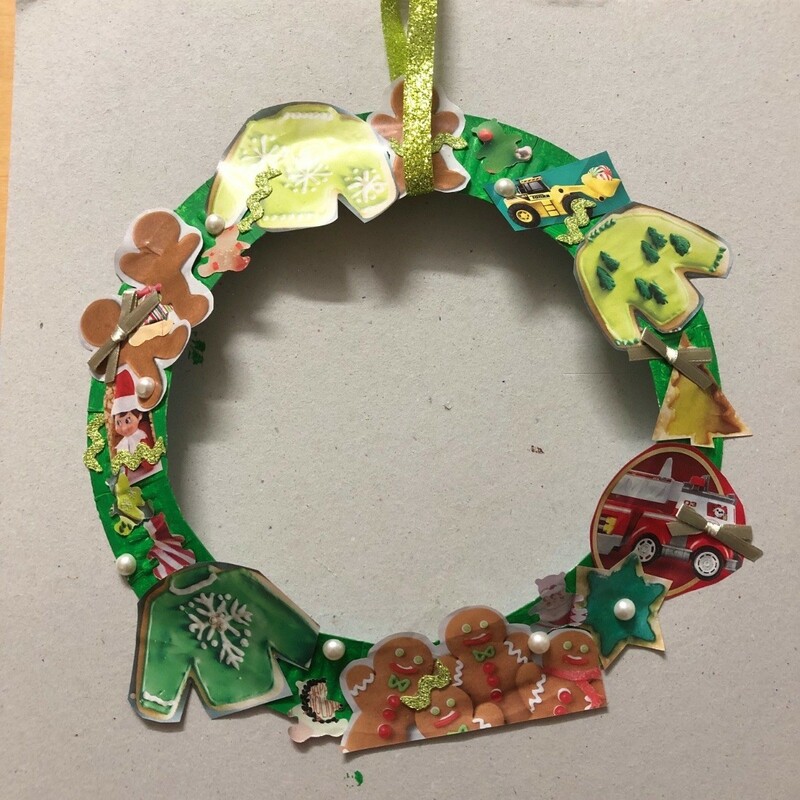 Now it is ready to hang on the fridge, on your mantel, or on the wall for your child's art work decoration!